John Dickson Carr: Scribe du Miracle is a fascinating book by Roland Lacourbe, a French critic who is no stranger to this blog. I have mentioned Lacourbe several times before, usually in connection with Paul Halter. I’ve found Lacourbe’s introductions to Halter’s works excellent, and he conducts a brilliant interview with Halter in the first of the three Masque omnibuses. Unfortunately, to my knowledge, there was only one copy of Lacourbe’s book in all Canadian libraries, and they wanted me to pay around $20 to get it via Interlibrary Loan. It is sometimes available on sites like PriceMinister, but for rather high prices— the lowest I’ve found right now is 36,10€. So it seemed like I was doomed to not read this book anytime soon. Until I found out something about my university library: they could get a hold of Lacourbe’s book via RACER (their version of Interlibrary Loans) for free! I rejoiced at the prospect and placed a request, expecting to wait a few months. I got the book after two weeks, and have been reading it on the side for quite some time now. Dr. Gideon Fell, I presume? Heavens, no! 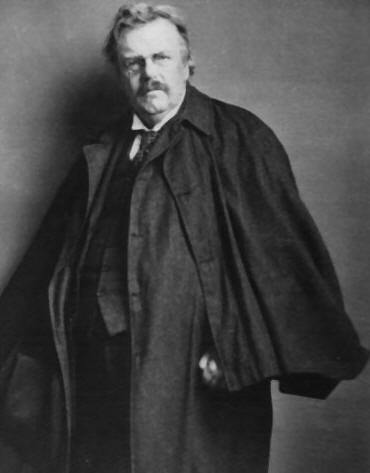 It’s G. K. Chesterton! It seems inevitable to compare this work to Douglas Greene’s brilliant biography of Carr—John Dickson Carr: The Man Who Explained Miracles. Well, both these books are brilliant but focus on different things. Lacourbe’s biographical info of Carr is not nearly as exhaustive as Greene’s, and I learned little new about the man himself. Instead, Lacourbe focuses a lot on Carr’s work, turning out a detailed critical study. Just about everything gets covered, including Carr’s many radio plays, some radio adaptations of Carr’s work, and some film adaptations as well! What makes this far superior to S. T. Joshi’s analysis, in my view, is that Lacourbe is an enthusiast. Joshi practically ignored Sir Henry Merrivale, underrated Dr. Gideon Fell, and threw far too much praise on the somewhat immature tales of Henri Bencolin, which he seems to have liked for their macabre aspect. Joshi got critical about everything else, making some very silly errors in the process, such as chastising Carr for completely ignoring WWII in The Case of the Constant Suicides… even though blackouts play a major role in the book! 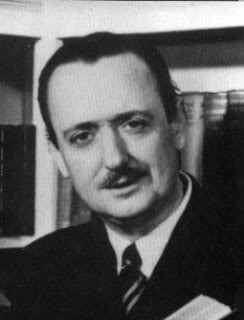 Carr may have wished WWII hadn’t happened, but he didn’t ignore it, and perhaps he thought that in the doom and gloom of those days, people deserved a light-hearted mystery-comedy that was successful on both counts. But back to Lacourbe’s book: he offers some excellent insights into Carr’s work, such as why books like Poison in Jest and The Emperor’s Snuff-Box did not contain a series detective, when it seems that Carr originally planned them to feature Henri Bencolin and Colonel March. He also provides excellent insight into John Dickson Carr from a French reader’s perspective, getting into details about previous translations and what made them successful or not. For instance, Carr’s Nine—And Death Makes Ten was translated into French in 1960 with major plot alterations: WWII was completely side-stepped, and at one point, the ship on which the story takes place seems in danger of colliding with an iceberg! Lacourbe doesn’t merely chronicle this alteration—he goes into the details. Sven Nielsen, the editor behind this madness, admired Carr’s book but thought that in post-WWII France, the conflict shouldn’t be brought up to remind readers of that painful period. He actually wrote to Carr to explain the situation and told him that Maurice Endrèbe, who had successfully translated The Burning Court, had proposed the “iceberg” innovation as a solution. Carr gave his approval. Many more anecdotes of this sort are present in the book, which is a triumph. I particularly liked the section dealing with Carr’s radio scripts, many of them completely unknown to me, including his propaganda and his work on the series Appointment With Fear. Unfortunately, the solutions were revealed in this section (others are revealed in the back, in a special section entitled “Solutions”), but at the same time, I doubt these will be released to the public eye any time soon. Only a few recordings of the legendary series Appointment With Fear survive, and I rather doubt the BBC would allow the scripts to be collected in a handy omnibus and sold to John Dickson Carr addicts like myself. John Dickson Carr: Scribe du Miracle is overall a brilliant book that I highly recommend. 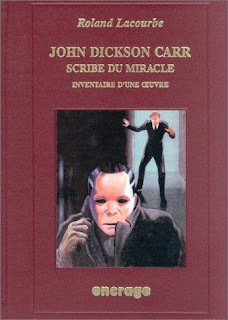 Unfortunately, here again, a translation into English seems unlikely, since much of the material is of specific interest to French aficionados of John Dickson Carr. Overall, this is an excellent analysis of Carr’s work, and it’s well worth tracking down if you can communicate en français. Only a few recordings of the legendary series Appointment With Fear survive, and I rather doubt the BBC would allow the scripts to be collected in a handy omnibus and sold to John Dickson Carr addicts like myself. It was part of a four-volume series collecting all of JDC's radio scripts. I own three of them - the fourth, which consists of propaganda pieces, is less interesting. The book sounds as a work of love written by a devoted fan. It's indeed a shame that the book is only available to a limited audience. I have sidestepped every critical work that focuses on Carr's work, in fear of encountering spoilers, but I'm not surprised that T.S. Joshi prefers Henri Bencolin to Fell and Merrivale. Joshi specializes in the type of macabre stories penned by the likes of Edgar Allan Poe, which are echoed in the atmosphere of the Bencolin stories, and this makes me suspect that he had at least some good things to say about Hag's Nook, The Mad Hatter Mystery and The Plague Court Murders. That is the one and only as far as I know-- I recall when I translated some thoughts about Endrèbe for you a while back, it was suggested that he was the French equivalent of Anthony Boucher: just as key a figure in translations to French and responsible for bringing figures like Patrick Quentin to the French reading audience. I believe Joshi's specialty is H. P. Lovecraft, so it's really little wonder he enjoys Bencolin as he does. 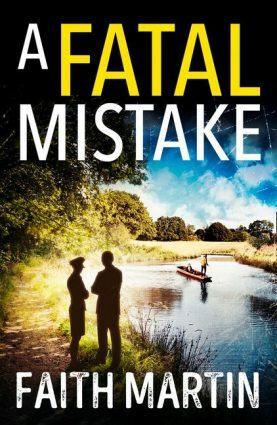 Fell got more praise than Merrivale- H. M. got the shortest chapter, the comedy was universally condemned, and I don't recall any glowing over 'Plague Court'. Joshi tries using cutesy hints sometimes, but somewhat avoids spoilers. The only problem is he never gives you a warning when he plans to indulge in them, like Doug Greene does. Fascinating stuff Patrick, really great to hear a review of this - sadly my French is nowhere near god enough so I'm grateful to be able to get some perspective second hand!